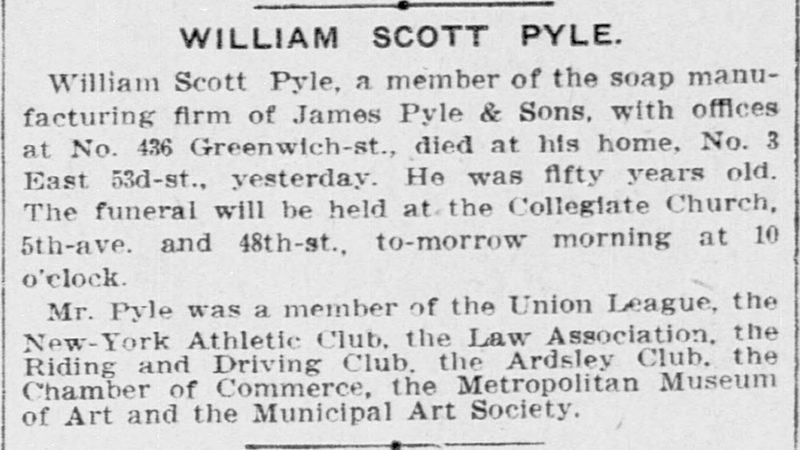 I looked in several places for an obituary for my great grand uncle William Scott Pyle, who died of cirrhosis of the liver on January 1, 1906. 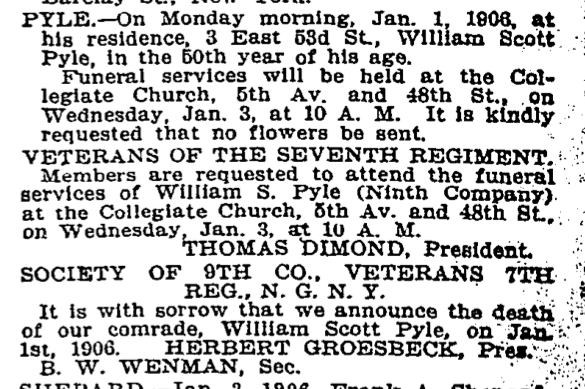 On Ancestry.com, in the Historical Newspapers, Birth, Marriage, & Death Announcements, 1851-2003, I found the death notice in The New York Times in both the January 2 and January 3 issues. 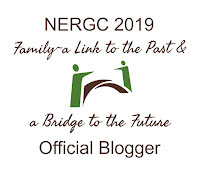 At Old Fulton NY Postcards website (another free website), I found an obituary from the New York Herald, which gives a bit more information about his family. 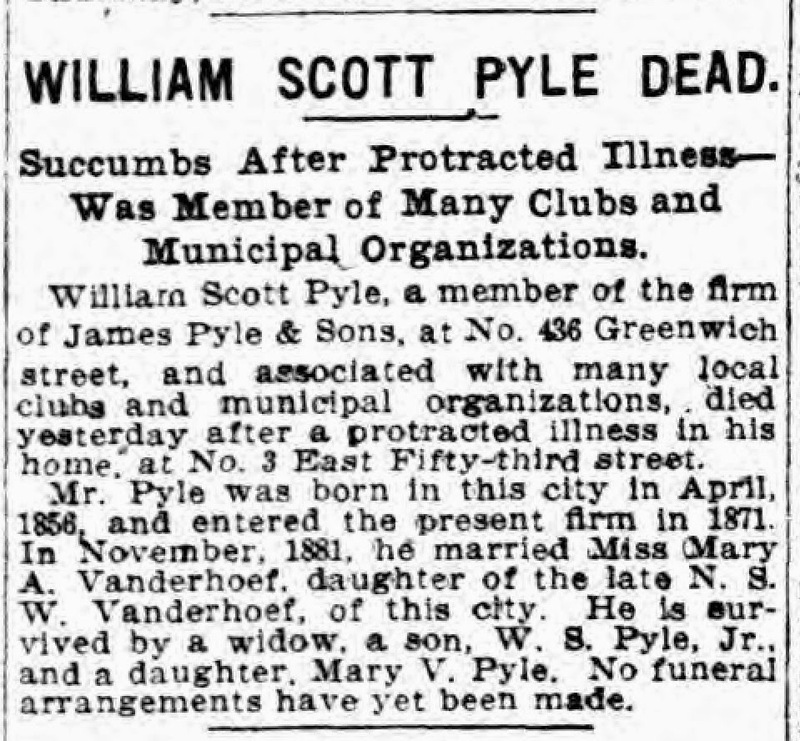 On GenealogyBank.com, I found a death notice in the January 23, 1906, Anaconda Standard of Anaconda, Montana. Amazing that it took three weeks for this news to get from New York City to Montana. Not important enough to send this news by wire, I guess. 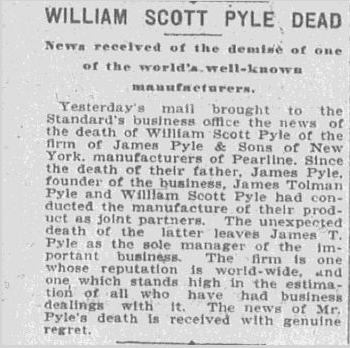 "William Scott Pyle Dead News Received of the Demise of One of the World's Well Known Manufacturers,"
This last obituary indicates that my great grandfather, James T. Pyle, is now the sole manager of the James Pyle & Sons business.